patterned floor reminding of contour lines or growth rings. 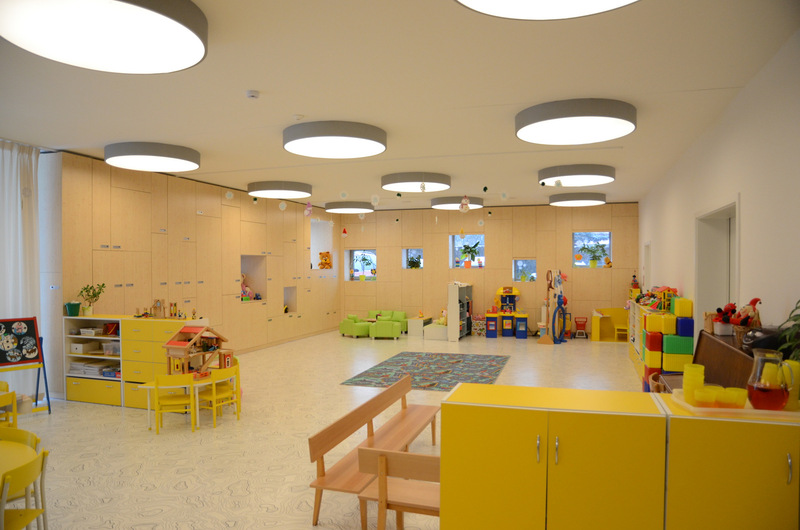 Each classroom has a separate entrance to its own outdoor terrace where children can play when the weather conditions are favorable. The surface of the outdoor toys storages are designed as blackboards that allow kids to develop their creativity. Facade is consists of horizontal wooden profiles with bigger spacing that allows the grey-black facade foil and underlying colorful grid to be visible.. Thanks to that the insides of the building are being revealed to the kids and they are taught in a funny way how ‘the kindergarten works’. 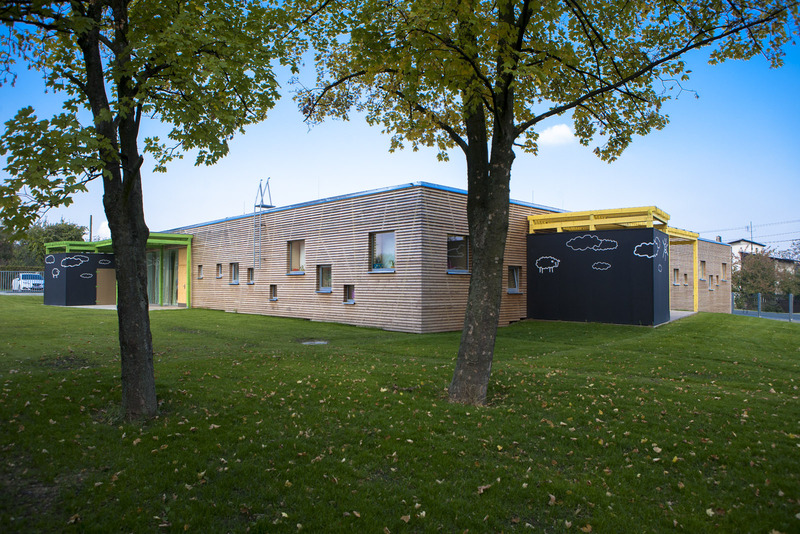 This building obtained honorable mentions in a competition House of the Year of year 2013 that is announced by the Statutory city of Ostrava.